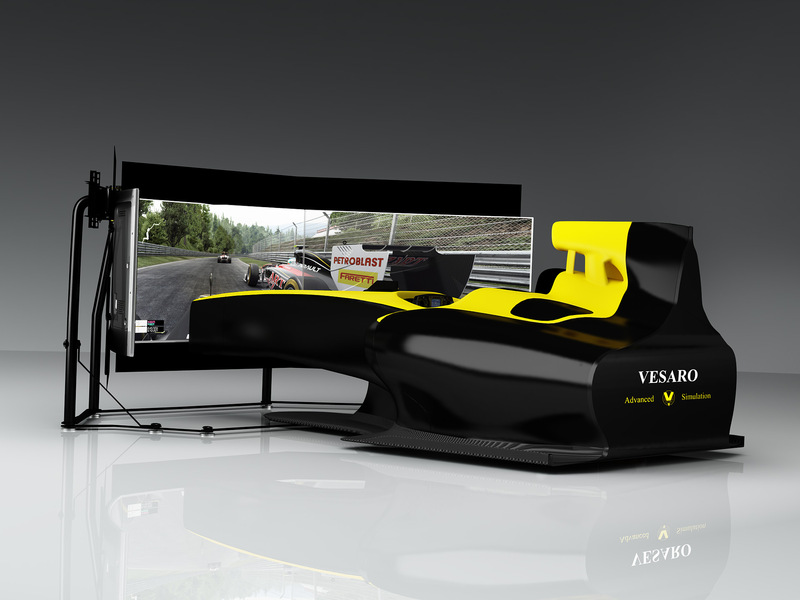 Vesaro Formula V50 Formula racing simulator with full motion and a triple 55 inch curved display setup. • Removable rear end to access on-board audio and control components. These stunning simulators are ideal for specific formula style professional race team training or commercial entertainment such as sim Centres, Arcades or Theme Parks. A formula style simulator with wraparound display or configure with optional VR headset. Livery Options - the formula range come as standard with the Vesaro black and yellow livery but can be customized to suit your requirements with custom paint or full vinyl wraps. Electric Pedals - the pedals can be easily adjusted with buttons inside the cockpit to suit different height people with a smooth electric operation.